Hedge Funds and other institutional investors have just completed filing their 13Fs with the Securities and Exchange Commission, revealing their equity portfolios as of the end of December. At Insider Monkey, we follow nearly 750 active hedge funds and notable investors and by analyzing their 13F filings, we can determine the stocks that they are collectively bullish on. One of their picks is Anthem Inc (NYSE:ANTM), so let’s take a closer look at the sentiment that surrounds it in the current quarter. Anthem Inc (NYSE:ANTM) was in 67 hedge funds’ portfolios at the end of December. ANTM investors should pay attention to an increase in hedge fund sentiment recently. There were 63 hedge funds in our database with ANTM positions at the end of the previous quarter. 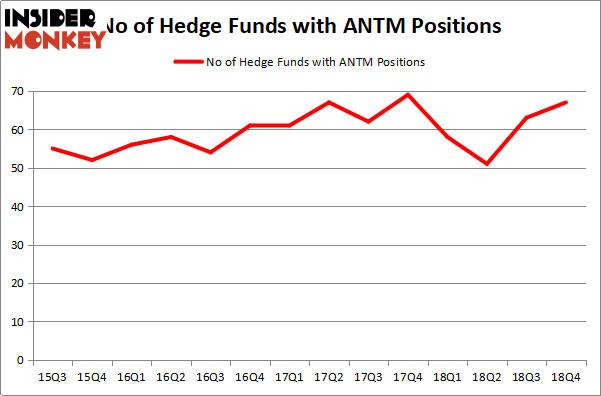 Our calculations also showed that ANTM isn’t among the 30 most popular stocks among hedge funds. Let’s check out the latest hedge fund action surrounding Anthem Inc (NYSE:ANTM). At the end of the fourth quarter, a total of 67 of the hedge funds tracked by Insider Monkey were long this stock, a change of 6% from one quarter earlier. By comparison, 58 hedge funds held shares or bullish call options in ANTM a year ago. With the smart money’s sentiment swirling, there exists a select group of notable hedge fund managers who were increasing their stakes meaningfully (or already accumulated large positions). Among these funds, Viking Global held the most valuable stake in Anthem Inc (NYSE:ANTM), which was worth $1339 million at the end of the third quarter. On the second spot was AQR Capital Management which amassed $778.2 million worth of shares. 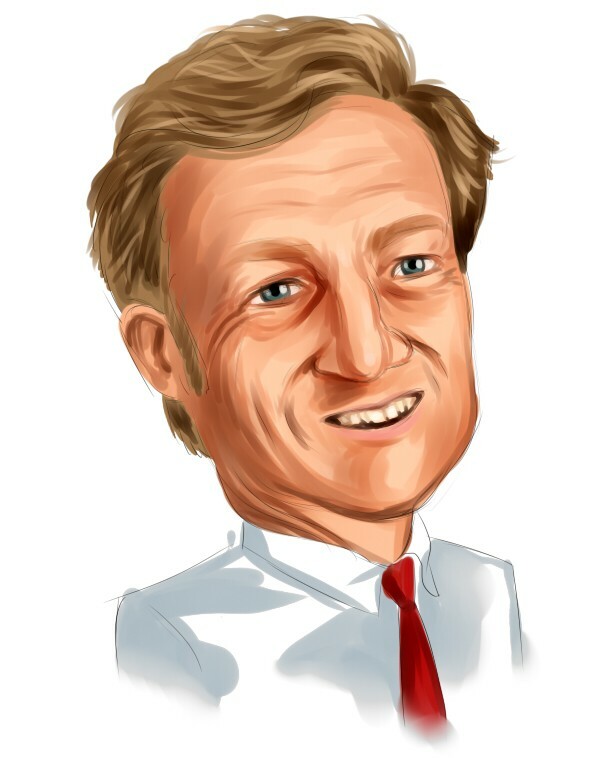 Moreover, Orbis Investment Management, Iridian Asset Management, and Farallon Capital were also bullish on Anthem Inc (NYSE:ANTM), allocating a large percentage of their portfolios to this stock. As aggregate interest increased, specific money managers were breaking ground themselves. Highline Capital Management, managed by Jacob Doft, established the most valuable position in Anthem Inc (NYSE:ANTM). Highline Capital Management had $88.8 million invested in the company at the end of the quarter. Robert Pohly’s Samlyn Capital also made a $66.3 million investment in the stock during the quarter. The other funds with new positions in the stock are John Armitage’s Egerton Capital Limited, John Lykouretzos’s Hoplite Capital Management, and Zach Schreiber’s Point State Capital. Let’s go over hedge fund activity in other stocks – not necessarily in the same industry as Anthem Inc (NYSE:ANTM) but similarly valued. These stocks are CME Group Inc (NASDAQ:CME), ASML Holding N.V. (NASDAQ:ASML), Banco Bradesco SA (NYSE:BBD), and General Electric Company (NYSE:GE). This group of stocks’ market values are similar to ANTM’s market value. As you can see these stocks had an average of 35.25 hedge funds with bullish positions and the average amount invested in these stocks was $1411 million. That figure was $5828 million in ANTM’s case. General Electric Company (NYSE:GE) is the most popular stock in this table. On the other hand ASML Holding N.V. (NASDAQ:ASML) is the least popular one with only 16 bullish hedge fund positions. Compared to these stocks Anthem Inc (NYSE:ANTM) is more popular among hedge funds. Our calculations showed that top 15 most popular stocks among hedge funds returned 19.7% through March 15th and outperformed the S&P 500 ETF (SPY) by 6.6 percentage points. Hedge funds were also right about betting on LMT, though not to the same extent, as the stock returned 15.7% and outperformed the market as well.